The word homeopathy has Greek origins. “Homeos” means similar, and “pathos” means suffering. Taken together, these words denote curing by similarity: a homeopath determines a person’s symptoms at a physical, emotional, and mental level, which serve as a basis for finding a remedy that produces the most similar image. “Classical” indicates a working method in accordance with the rules set down by the founder of homeopathy, a German physician called Samuel Hahnemann. Homeopathy is based on the “law of similars”, which implies treating the patient [rather than the disease] using a remedy that embodies the very symptoms matching those displayed by the patient. Stated in simple terms: if a patient has a headache, the remedy will not be sought in pain-suppressing aspirin, but rather in a remedy that would in fact cause headaches if used by a healthy person. Homeopathy uses remedies derived from plants, animals, and minerals. These are minutely diluted and shaken in a process called potentization [increasing potency]. A single drop of the original tincture, such as a plant extract for instance, is mixed with 99 drops of an alcohol/water mixture, after which it is shaken repeatedly. Subsequently, a single drop is taken from the resulting solution, which is again mixed with 99 parts of alcohol/water and shaken again. The effects of such remedies are studied exclusively in trials using healthy test subjects, keeping close track of any changes that may occur. The resulting body of knowledge is further expanded by symptoms of intoxication cases and experience drawn from treating patients. Animal trials do not provide accurate information on remedial effects for humans, and moreover, such trials cause great suffering to the Animal Kingdom. This unique preparation method used in homeopathy makes use of the “Vital force” present in people. This Vital force cannot be observed directly, but it does play a crucial role in matters of sickness and health. There is another distinction between classical homeopathy and the type of homeopathy found at a pharmacist or drugstore, however. Regular “over the counter” homeopathic remedies are usually applied topically, which as an approach has nothing to do with classical homeopathic principles. The essence of a classical homeopath is to provide a remedy suited to the overall picture of the patient, in order to cure rather than suppress symptoms. This principle distinguishes homeopathy from the anthroposophical medicine, in which the individual approach is not as possible as it is in the classical homeopathy. 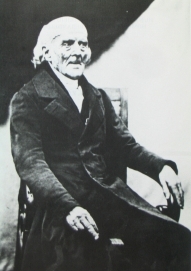 Classical homeopathy was founded by Samuel Hahnemann (1755-1843), born in Dresden, Germany. Hahnemann had an insatiable thirst for knowledge even in his childhood years. At the age of twelve, his tutor let him teach Greek to students. He paid for his education by translating English books into German. He graduated in Leipzig in 1799, got married, and published works on medicine and chemistry. He also studied medicine at other universities, where he became familiar with Greek, Roman, and Arabic traditions of medicine. He practiced his doctor’s profession in Leipzig and Dresden, until he couldn’t bear to go on any longer. By the close of the 18th century, medicine was in a sorry condition, and applications of theory and medications often led to disaster. In those days, the fashion was to view disease as resulting from so-called “bad blood”. Unhealthy blood, so it was thought, should be drained from the body, after which the patient would generate new, and therefore pure blood. This would usually relieve symptoms momentarily, but the underlying causes were rarely addressed. As a consequence, new blood would be drained, and so on. Such bloodletting practices caused many patients to meet their end because of pure fatigue at the time. Leeches were applied to various parts of the body. In Paris, a leech fair organised in peak year 1833 led to an import of about 41,654,300 (!) leeches – although very few people were cured, this practice did earn many doctors a fortune indeed! In addition to application of leeches, bloodletting was common practice, as was the use of laxatives and, of course, opiates. These were the means available to doctors at the time. By then, Hahnemann had become father to a number of children, of which he would have 11 in total. He closed his doctor’s practice and directed himself at translating medical volumes, as by then he was capable of translating between seven different languages. Among his many assignments was the revision of the German pharmacopoeia, a pharmacists’ guidebook stating the exact ways of producing all sorts of medicine. The book was used right into the 20th century. Hahnemann was a highly respected man. In 1870, he translated professor Cullen’s “Materia Medica”. In it, the author wrote about quinine bark (a medicine used to combat malaria), attributing its success to the fact that this substance was “bitter”. Hahnemann was a critical thinker, and he had serious doubts about this claim. He decided to try it out for himself by ingesting the substance, which resulted in fever. He went on to document all his experiences in detail: his symptoms included cold feet, increased heart rate, and unbearable anxieties. These symptoms would persist for up to two or three hours, and would be repeated whenever he ingested another dose. He was very meticulous in documenting his symptoms. These symptoms resembled those seen in cases of malaria. This was the foundation of the homeopathic principle: he started to display the symptoms associated with the remedy he ingested. The same principle had been voiced earlier by Hippocrates [460-377 B.C.] and by Paracelsus at the start of the 16th century, but so far, no one had ever turned it into a system of healing. Hahnemann started to investigate other substances, and his students joined him in the project, going to great lengths to describe the symptoms they experienced. He started to dilute the substances, noticing how the effects intensified as he did so, and then he arrived at the brilliant idea of shaking and striking the diluted substances in turn. These techniques produced his greatest results. By that time, however, the medical world had mustered serious opposition to his ideas. If you would like to learn more about Hahnemann, the biography written by Thomas Bradford is highly recommendable. Hahnemann lived a turbulent life; in his years he moved house no less than 30 times. His first wife died in 1830. He spent the last eight years of his life living in Paris, where he had a flourishing practice: the street where he worked was permanently cramped with carriages waiting in line, as patients came to see him from far and wide. By then, he had been remarried to 23-year old Melanie D’Hervilly, who would become responsible for the publication of the many books he wrote throughout his lifetime. The two images accompanying this article have been willingly made available by Homeovisie Publishers in Alkmaar.